I am a specialist in process analysis and design with a background in automation. After serving six years in a Special Operations military occupational specialty, I brought my skills to the private sector. Since then I have specialized in helping small businesses and charitable organizations with process definition, documentation, and engineering. This skill has helped insure that my clients are able to prioritize and focus costs on what matters most while saving time and money. Optimization is a clear goal for any organization and I strive to help provide that. While serving under the United States Civil Affairs and Psychological Operations Command, I had the unique opportunity of coordinating and conducting command change inventories. These inventories require line item accountability for all component items down to a single wire. With values running into the millions of dollars, these inventories are long, arduous, and require meticulous execution. After the initial inventory, I was tasked to complete 3 separate and additional inventories of similar scale and was recognized by the USACAPOC 15th Brigade for the optimization I brought to the task. All inventories were completed with around 50 man hours saved and reports were completed in triplicate without loss or need for replication. Once in the private sector, I began to use my skills to provide my employer with process definition, documentation, and software automation. Once tasks had been broken down and defined, myself and other team members were able to provide extensive cost savings through the elimination of repetitive tasks. Through our efforts, we were able to save 60 work days per year with our initial improvements. As the project continues, these savings continue to increase. Now that you know who I am, and why I do it. Let me share with you how I do it. Every good project or task starts with a plan, and being productive is no different. No one wakes up in the morning and automatically succeeds. The truly successful start their day with intention, with a purpose, and most importantly, with a plan. Throughout the centuries, at least since the invention of written word, the successful have engaged in a ritual of cyclic planning. A never ending process of self-assessment and definition. To borrow a cliche, it is nigh impossible to tell where you are going if you don’t know where you are. And to assist with this cyclic planning, man has invented a plethora of tools, techniques, and processes. Luckily, we have the benefit of being on the far end of hundreds of years of a refinement to this process. So following in their footsteps, I present the following reasons as proof enough that you should daily be carrying and using a physical journal. Journaling allows you to assemble all your thoughts and obligations in one place. 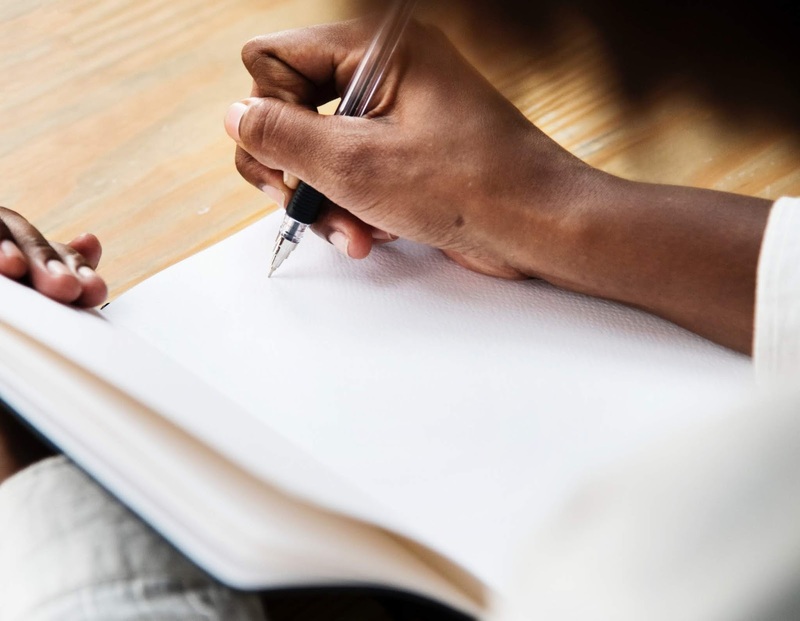 Being able to quickly glance at your journal notes can be a great way to understand what your day has in store and what obligations are pending. This allows you to plan accordingly. Journaling allows you to identify and define obstacles and recurring patterns or “problems”. Often in life we are faced with obstacles or “problems”. These obstacles may seem overwhelming or as if they occur without warning. This is not truly the case, while a flat tire from a nail may be a surprise, your car failing due to lack of maintenance should be expected. In the same way, we should not expect our lives to continue on without issue, if we fail to identify and care for the obstacles we will face in the future. Journaling helps you track your overall improvements and failures. Keeping a daily record of your successes and failures enables you to define and address areas of weakness or inability. If a failure recurs, it is often useful to analyze the conditions prior to and during an event that resulted in failure. This understanding can help you adjust your planning to overcome these failures in the future. If my own experience isn’t enough to convince you to practice journaling, I would simply point out that Theodore Roosevelt, Thomas Jefferson, Benjamin Franklin, Darwin, Emerson, Churchhill and many other greats of the last century have left fascinating and thrilling journals behind for generations to pore over. There is no reason why your journal should not be counted among them. After years of attempting to use various different planners, calendars, and electronic devices, I have found my home in the BulletJournal system. This system, originally designed by Ryder Carroll is the most flexible and optimized journaling method I’ve come across and Carroll has won awards for his work in Intentional Living. The BulletJournal, features several unique qualities from a traditional calendar or planner system, notably its flexibility and low mental weight. We’ll look at each of these qualities more in-depth later. Planners and calendar binders tend to be too fussy. While presenting a lot of useful elements, they are rigid in the fact that they are pre-printed, and objectively become useless once certain dates have passed. I have expect this to be an intentional design flaw to insure the continued purchase of expensive and custom systems. Additionally, the mental weight of seeing the number of missed and wasted pages can weigh on a person to the point of putting them off from journaling or productivity planning. If you haven’t worked in your journal in weeks, there can accumulate a certain amount of shame over the work not done as you flip through the pages to find the correct dates. The BulletJournal diffuses situations such as these by never progressing further than you have. This allows for an extreme adaptability. Why Not a Blank Notebook? While a blank notebook is my preferred method for starting a BulletJournal, the blank open expanse of a page can often be a daunting and listless task. Without direction, one is often in danger of getting lost in the how to do, instead of the doing of. Where a planner offers the problem of being too rigid, a blank notebook holds the paradox of being not rigid enough. The BulletJournal is wholy unique in that it asks for nothing more than a blank notebook and a moment of your time to learn. But the benefits it brings for this slight investment are numerous. The journal’s low entry cost makes it the most affordable complex journaling system while also allowing it to be the most flexible, optimized, and forgiving. With its Index, anyone, even 100 years in the future can quickly reference the events or categories contained therein. While the Future Log provides a glance into the events and tasks of the year at hand. Coupled with the Daily Tasks section, one is never at a loss as to the state of their past, present, or future affairs. Below we’ll take a look at the BulletJournal’s elements individually and make sure that you have a concept of where and why we’re going forward with this method. The BulletJournal is made up of 5 essential elements. These will remain the same for every BulletJournal and should allow the author to go from year-to-year without much deviation. However, the method is completely open to your own customizations and alterations and you are encouraged to write and share. Label the top of the page Index, Number the bottom corners. An index generally spans 2-4 pages. Located on the first few pages of your journal, this holds the contents list of every page going forward. It is imperative that you number all of your pages going forward and include them in the Index. This is the only time you have to take an educated guess about the amount of space you need for an element. The rest of the time, the journal will flex and bend to your will. As an aside, I usually start my Index as i-iii, using Roman Numerals until the first monthly log is created. This shows a clear delineation between the structure of the journal and the beginning contents. Label the top of the page Future Log. Number the bottom corners. A Future Log generally spans 4 pages with each 3rd of a page being dedicated to a month. This will serve as a place to notate any important dates, projects, or events. Commonly used to mark important meetings and birthdays/anniversary. No details should be retained here other than the name of the event and possibly a location or time. Details will be presented in your Monthly log, or better yet, in your Daily log. Label the top of the left page Monthly Calendar - MonthName, e.g. ; Monthly Calendar - December. Label the top right Monthly Tasks - MonthName. E.g. ; Monthly Tasks - December. A Monthly Log should only cover two pages. One for the Calendar, the alternating for tasks. Down the left column of the left page, number as below. Write any important deadlines or events from your future log, on to the monthly calendar. On the right page, list any Monthly Tasks or projects. Label the top of the page Daily MonthDay. Lists all tasks for the day from yesterday, the Future Log, or the Monthly Log. This is the main page you’ll work from and we’ll be a place to record daily musings, prioritize and sort tasks, and keep track of appointments in the day-to-day. For some tasks or planning cycles, it may be necessary to setup a project or meeting page. These are for use when a Daily log can not adequately capture the information that would otherwise be necessary. I often use these when meeting with a client or for working on a big project. Clearly label the date and time of the project or meeting at the top, and take notes accordingly. If necessary, you can continue your Daily Log on the bottom of the current page, or continue onto the next page. Though it may seem counterproductive, it is best to keep the flow of the journal continuous instead of attempting to guess how many pages to leave for a day, or how many are necessary for a project. Just remember to use clear headers, number your pages, and always add to the Index. The BulletJournal system relies on the 5 elements above, accompanied by a set of symbols that can be used to quickly and clearly identify essential tasks and events. The namesake of the BulletJournal, the bullet (•) is used to signify different tasks in a daily log. An evidential circle(○), this quickly identifies events required for the day. ○ Meet with Hailey over family finances. Used to signify that a specific task has been completed. The Greater Sign (>) is used to signify a progression forward into the next day. When starting a new Daily Log, be mindful to move all of the tasks marked with a > to the new day. > Call John about cutting grass. The Lesser Sign (<) is used to signify a that a task has lost priority or precedence and is moving back to the Monthly Log to be re-assessed and completed at a later time. < Call Jason about tickets for Valentines Day. The Em Dash (—) is used to signify notes and may be nested under a task or event to provide prescient details. — Remember to review life insurances. The Strikethrough (—) is used liberally when learning to say no, or when a task no longer is needed or is no longer your responsibility. Order Birthday Cake for Grandpa - Delegated to Jeff. Originally used in the BulletJournal technique to identify tasks or events with priority, the asterisk (*) is now being used to identify points of inspiration or research that require follow-up. In my own experience, this is most often the name of a piece of software mentioned in an article, a clip of music on the radio, or a random revelation that may spur a breakthrough project or innovation. * Check out Ansible/Puppet/Chef? Linux Automation? Now that we’ve established why and how you should journal, go buy a blank notebook. Fill in the pages and get ready for the new year. In the next part of this series will look at the Eisenhower method popularized by Stephen Covey’s book “The 7 Habits of Highly Effective People”, the Pompodoro Technique, and David Allen’s “Getting Stuff Done” prioritization techniques.